The solicitation (MGA-01-001) is the first step toward installing one or more microgrid projects in the aggregrator’s service territory: Monterey, San Benito and Santa Cruz counties. After selecting host sites, Monterey Bay Community Power will seek bids, beginning June 7, to identify contractors who can offer turnkey engineering and construction. California allows cities and counties to form aggregations that provide electricity to customers while the local utility handles transmission, distribution and billing. Through aggregation municipalities pool their energy loads and leverage buying power. This gives communities not just a chance to buy more renewable energy but to also build microgrids that can increase reliability as well as promote economic development. To this point, such aggregation programs work in concert with the local investor owned utility that is domiciled in that area. 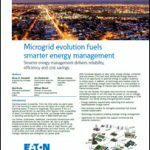 The utilities benefit when microgrids alleviate the grid’s stress and congestion, thus improving reliability and maintenance issues. Moreover, community aggregation programs are carrying out their promise to buy renewable energy. Thus far, they have procured 2,000 MW across the nation and mostly through long-term power purchase agreements. 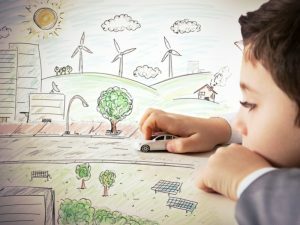 As for the Monterey Bay Community Power initiative, it is launching the Microgrid SmartConnect Program as a way to support economic development and to provide a resilient power supply to its customers. In Monterey’s region, for example, there is a large agricultural base. And there is a need for a lot of business expansion to serve the needs of packaging, coolers and products. Customers go to the aggregator and they identify areas where there are grid constraints — anything from where there is congestion to a lack of infrastructure. They ask the aggregator to present a solution. Monterey Bay Community Power will then look at the feasibility of the site and it will determine the needs and the potential designs. The aggregator can ask for as much as a 50% downpayment on the projected total cost. The program is now in the process of being rolled out. After a project is constructed, the aggregator will charge a dynamic rate to those customers connected to the microgrid. Customers benefit and ultimately recover their expenses because they are addressing grid constraints and they are able to expand their businesses while receiving a resilient form of power. Similarly, the Redwood Coast Energy Authority is a community aggregator for Humboldt County. It will use solar-plus-storage to power an airport microgrid in the city of Eureka. The county is interested in reliable electricity for critical facilities. And, given the recent wildfires, PG&E also wants to reduce its reliance on long distance transmission. It believes distributed power with microgrids is an answer. Microgrids are a critical tool to increase the use of renewable energy while gaining more resiliency and improving economic development. Community choice aggregation programs provide the leverage to achieve those goals. Join us for more discussion about community aggregation at Microgrid 2019: Shaping the New Electric Grid, May 14-16 in San Diego, Calif.